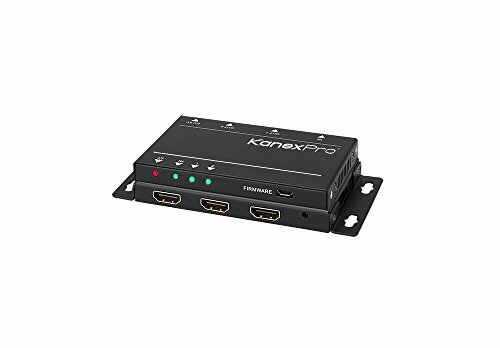 The KanexPro 1x2 HDMI Splitter is an ultraslim, space saving 4K@30Hz compliant distribution amplifier which lets you duplicate one HDMI source signal to two UHD 4K displays without losing signal integrity and resolution. Incredibly thin aluminum design with only 0.4 inches thick this professional splitter is ready to fit in any installation environment whether it’s behind a flat-panel TV, under the lectern or just your conference room table. If you have any questions about this product by Kanex Pro, contact us by completing and submitting the form below. If you are looking for a specif part number, please include it with your message.